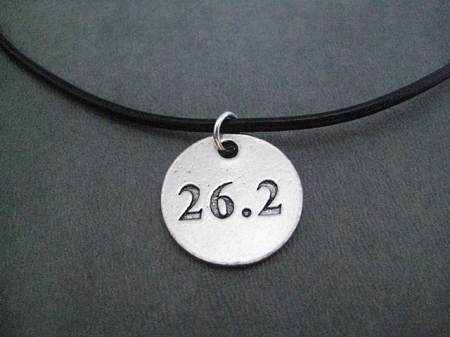 The DISTANCE Round Pewter Pendant on Leather Chain with Sterling Silver Clasp Necklace is a great way to celebrate the Runner in your life! Choose 5K, 10K, 13.1 or 26.2! Perfect for Guys and Girls! Simply stated and only available at The Run Home, the Pewter DISTANCE PENDANT measures 3/4 Inch Round.